No doubt, Game of Thrones is one of popular TV series. If you’re also a fan of the fantasy series, the following Game of Thrones carbon steel coaster set may be able to catch your eyes. 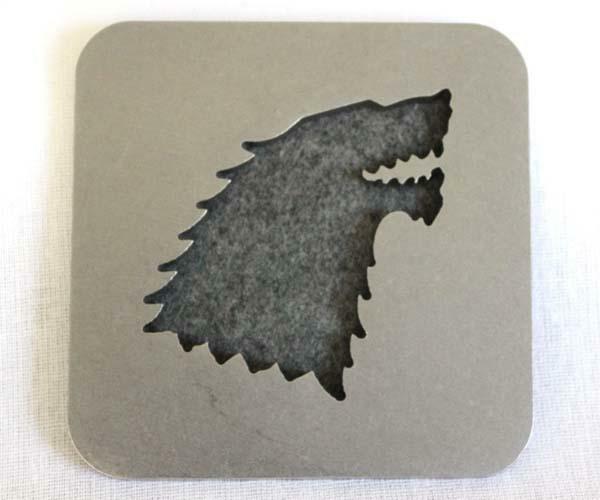 This is a well-crafted drink coaster set inspired by Game of Thrones, and handmade by Jason and Katie Lister from Coarsegold. 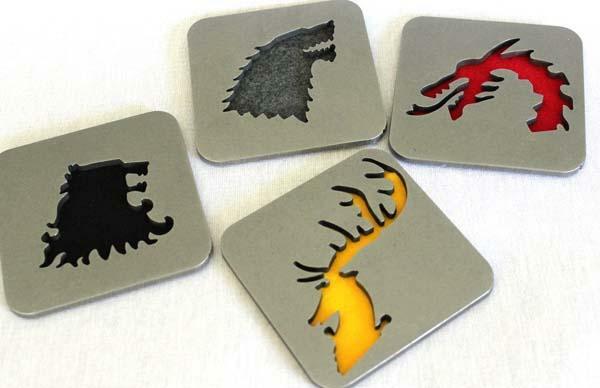 As we can see from the images, the coaster set contains four different designs in total, each one sports an iconic symbol from the TV series, including House Greyjoy, House Stark, House Targaryen, and House Baratheon, and each drink coaster is made from 3/16-inch thick 1018 carbon steel for adding some weight and a sturdy feeling, while its 0.05-inch thick felt highlights each symbol and protect your furniture. Apart from that, each drink coaster measures 4 x 4 inches. The Game of Thrones carbon steel coaster set is priced at $29.95 USD. If you’re interested, jump to Etsy for more details. Additionally, if you need other options you might like to check Iron Man 3 coaster set and more via “coaster set” tag.